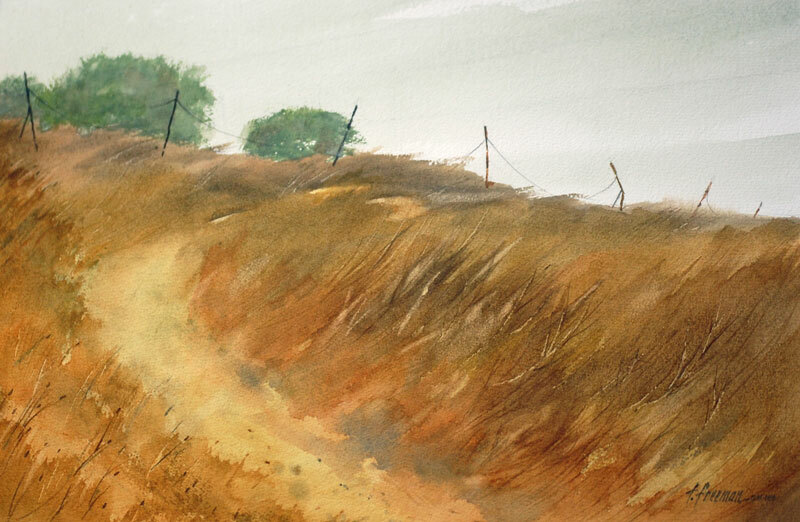 Thomas Freeman Original Watercolor Painting: "A Soft Gray Day"
I enjoy walking out in the fields, following paths through the velvet-looking weeds. The day is typically gray and overcast which softens the landscape. Your hear only the sound of the wind and the field birds.